Established in 1834, Marietta, Georgia is located along the dramatic backdrops of the Chattahoochee River and historic foothills of Kennesaw Mountain, 18 miles northwest of Downtown Atlanta. Characterized by numerous natural resources, affordable real estate, and historic and cultural assets, Marietta is home to more than 300,000 residents and is the county seat of Cobb County, Georgia’s third largest county with over 750,000 citizens. Marietta provides visitors and residents an exciting selection of attractions, festivals & annual events, outdoor concerts, recreational activities, sport venues, shopping, and a growing business environment of industry and commerce. Visitors and residents are sure to enjoy the traditional Southern charm, hospitality, and history of this quaint, modern city. Though heavily damaged during Sherman’s March through Georgia in 1864, Marietta remains the proud home to numerous historic properties, five historic districts, and two Nationally Registered Historic Landmarks—a tribute to a tight-knit community’s devotion to honoring its past and embracing its future as a vibrant and charming Southern city with modern, world-class amenities. The City of Marietta is home to a thriving community of 59,089 residents living within city limits, and a population of Metro Marietta (outside city limits but with a Marietta address) includes over 300,000 residents. Marietta is the county seat of Cobb County, Georgia’s third largest county of 730,981 citizens (2014 Census estimate). Cobb County was named after Thomas Willis Cobb, a United States Representative, United States Senator, and Georgia Supreme Court Judge. The city of Marietta was named for Cobb’s Wife – Mary Cobb. Other cities in Cobb County include Acworth, Austell, Kennesaw, Powder Springs, Smyrna and Vinings. Characterized by numerous natural resources, as well as historic and cultural assets, Marietta provides visitors and residents an exciting selection of local attractions, annual events, festivals, outdoor concerts, recreational activities, sport venues, and a growing environment of industry and commerce. At the center of it all is the antebellum Glover Park and fun-filled Marietta Square. Over the past twenty years, this charming “old town” center has evolved into the picturesque heart of Marietta’s historic redevelopment. Visitors to the “Square” will discover an eclectic mix of busy restaurants—with both familiar and foreign fare—lively nightspots, an intimate Broadway-style theater, several museums, and a treasure-trove of specialty shops, trendy boutiques and unique galleries, offering antiques, fine china, jewelry, clothing, novelty items and more. Right off Marietta Square—located in a renovated 1898 train station—the Marietta Welcome Center & Visitors Bureau has been Marietta’s first stop for more than a hundred years. Open 7 days a week, the volunteer staff of the Welcome Center & Visitors Bureau provide visitors with maps and brochures for Marietta’s self-guided Walking and Driving Tours, highlighting the city’s arts, cultural & historical attractions, antebellum, Victorian, Greek Revival, Queen Anne, and Plain-style residences and buildings that attract nearly one million annual tourists. For more information, contact The Marietta Welcome Center & Visitors Bureau, 4 Depot St. NE, Marietta, GA 30060: telephone 770.429.1115. From its rise as a community of Creek, and then Cherokee Indians, to a popular resort destination, to Civil War ruins, to its declaration as a 2002 “City of Excellence”—by the Georgia Municipal Organization—Marietta is described as the intersection of great economic, social, and geographic changes by the Wall Street Journal. 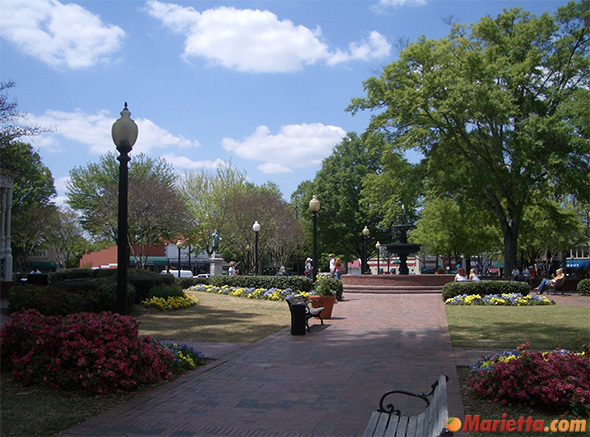 Crowned the 2006 All-America City, Marietta was considered one of the nation’s 10 best communities, as reviewed by The National Civic League—the country’s oldest and most respected community recognition award. Marietta’s sound economic foundation is rooted in its base of over one hundred Fortune 500 companies, and a longstanding aeronautics industry. Furthermore, expanding economic clusters in health services, hospitality, tourism, and entertainment, keep Marietta well positioned for continuing private sector investment, new business, and industry development. Prospective residents have a wide variety of affordable housing options to choose from, including existing residences, new home construction, townhomes, condominiums, and apartments. Moreover, with an estimated 50% of Marietta’s population commuting to other areas of metropolitan Atlanta for business, employment, and recreation, the city is well served by the Cobb Community Transit (CCT) service. There are also numerous projects, expansions, and transportation enhancements—including multi-use trails and pedestrian sidewalk systems—in development to address the future needs of the city and county. Additionally, Marietta’s first-class education system provides a variety of educational opportunities at all levels of education, including several colleges and vocational schools. 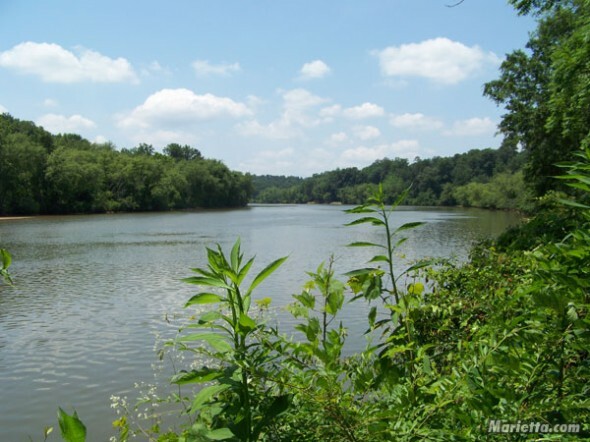 Marietta’s annual average temperature of 61.2° F affords tourists and residents numerous year-round recreational activities within an extensive network of park space, playgrounds, athletic fields, and tennis courts, in addition to a variety of multi-use trails and greenspace. Recognizing Marietta’s important ties to the past, while preserving an excellent quality of life now—and in the future—remains a primary goal of the government and citizens of Marietta. Visitors and residents are sure to enjoy the traditional Southern charm, hospitality, and history of this quaint, modern city. If you are moving to Marietta, check out our Marietta Moving Guide, featuring information about schools, transportation, utilities, and more. If you are moving to the East Cobb portion of Marietta, check our our East Cobb Moving Guide.